This lively and entertaining manual on how to interpret abdominal radiographs will be invaluable to all medical students and junior doctors and has been written by a practising radiologist with many years' experience of teaching the subject. 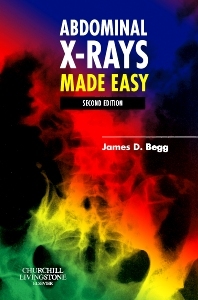 It outlines the few simple rules you need to follow, then explains how to sort out the initial and apparently overwhelming jumble of information which constitutes the abdominal X-ray. Knowledge of its contents will provide a secure base for tackling exams and the subsequent challenges of clinical practice. A comprehensive guide to all the common and serious conditions which are likely to be detected on a plain abdominal x-ray. Explains both how to look and what to look for on an abdominal film. Addresses exam technique to assist students preparing for clinical and OSCE exams.